Offering you a complete choice of products which include mustered oil pouch packaging machine, automatic oil bottle filling machine, automatic container oil filling machine, vegetable oil filling machine and edible oil pouch packing machine. we are providing heavy duty oil pouch packing machine for edible oil. in this machine, we can fill 100 ml to 1000 ml oil. The machine is available in center seal and side seal option. 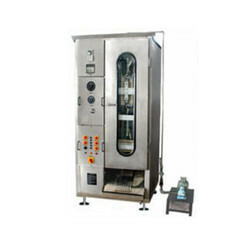 Our organization provides a comprehensive array of Oil Packing Machine that has attracted various national and international clients to place bulk orders. These are offered at industry leading prices. Our range is appreciated for its high performance, durability, and reliability. These have easy installation and maintenance features and are carefully designed, tested and factory assembled. Further, these are made of superior quality raw material, designed and developed by experienced engineers. They can also be customized as per client specifications. Fully Automatic Container Filling Machine is offered by us to clients in bulk. The offered Fully Automatic Container Filling Machine is available in the market in the wide range in various specifications. This Fully Automatic Container Filling Machine is extensively used in industrial and commercial applications. 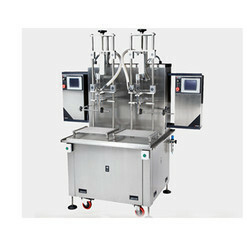 The offered Fully Automatic Container Filling Machine is available in the market in various sizes. Fully Automatic Container Filling Machine is known for its high performance. 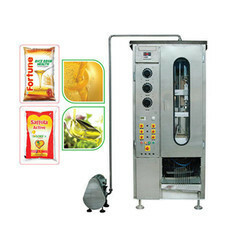 We are leading manufacturer and exporter of Vegetable Oil Filling Machine and our product is made up of good quality. 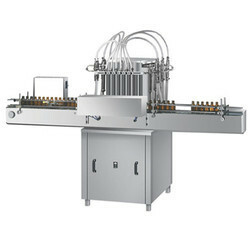 Vegetable Oil Filling Machine offered comprise the latest technology based filling equipment that features advanced PLC microcomputer programmable control so as to allow precise working performance. Finding extensive use in a food industry sector, these machines provide for accurate filling measurement with no bubble filling. Touch operation based color screen for controlling operation procedures. We are the manufacturer, Exporter, and supplier of highly efficient Edible Oil Pouch Packing Machine. 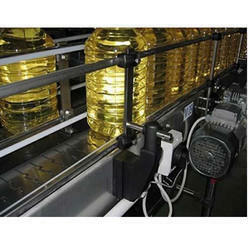 It is used for the packaging of edible oil and is manufactured from premium quality components and modern technology.